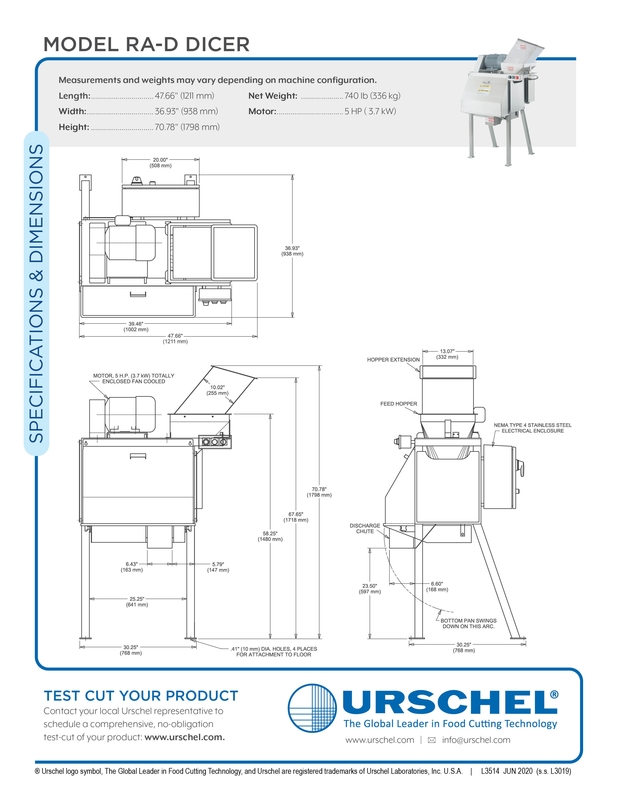 Model RA-D Dicer - Urschel Laboratories, Inc. The Model RA-D is a versatile dicing machine capable of a wide dice size range. A positive method of cutting, together with a wide selection of speeds and knife styles enables the Model RA-D to give excellent results on a variety of cheeses and meats. Maximum input product is 3-1/2" (88.9 mm) in any dimension. Precut product if necessary. 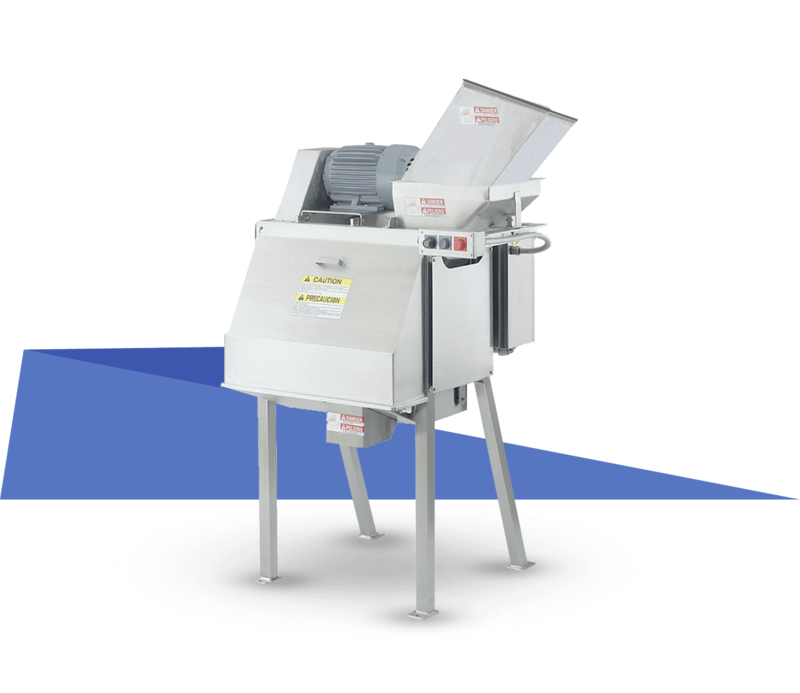 The Model RA-D features continuous operation for uninterrupted production, and simplified design for easy cleanup and maintenance. 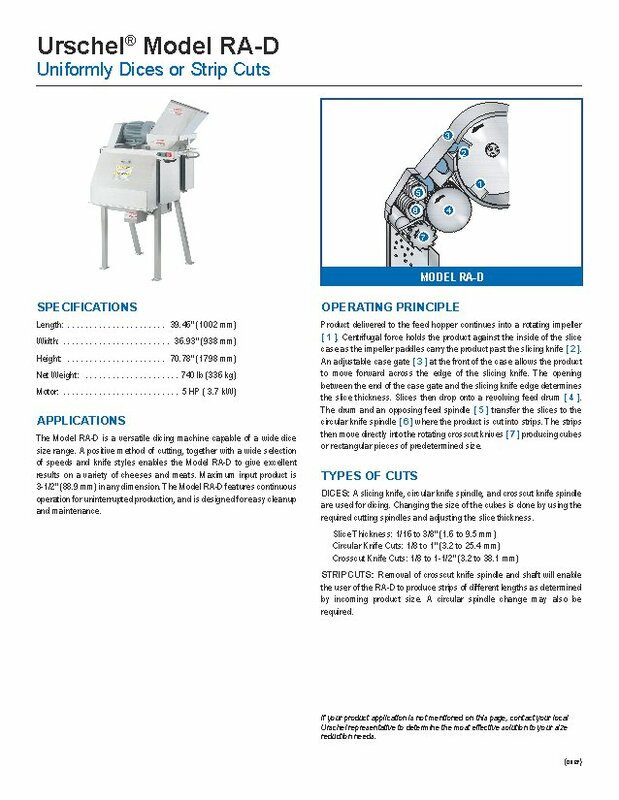 Successful cutting of cheese depends upon product temperature, moisture content, and selection of the suitable machine speed. Many applications are successful with proper technical assistance and preparation of product samples for testing. 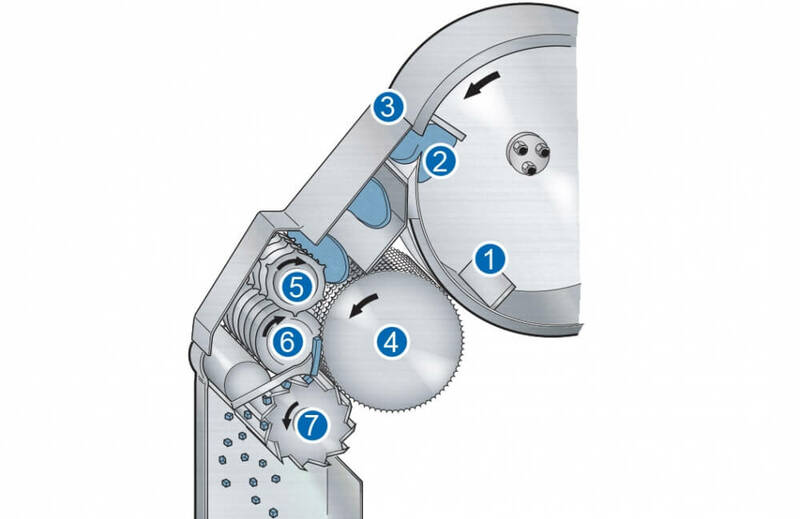 Centrifugal force holds the product against the inside of the slice case as the impeller paddles carry the product past the slicing knife [ 2 ]. Removal of crosscut knife spindle and shaft will enable the user of the RA-D to produce strips of different lengths as determined by incoming product size. A circular spindle change may also be required.